Back in June, I wrote about the power of a case study as one of the best marketing resources you can have for your business. Here at Explore creating case studies is one of our strengths – but up until last week, we had always worked within a client’s pre-existing case study style and format. However, for the first time last week we were able to create a case study style and template from scratch – for a client that was just embarking on its first case study program. As it turns out, we made a fundamental mistake. Although we had a good understanding of the client’s business, and its solutions and services, and created what we thought was a great case study format, we had never spoken to one of its customers. So when we created the style and template for the case study, we didn’t factor in the unique nature of the customer’s reaction to the services and solutions provided by our client and the impact that those products and services had on its business – or the story we were told during the interview. The most important aspect of a case study is to tell the customer’s story – and that needs to be factored into the case study style. While our plan was to structure the initial case study format around the services and solutions the client provided in the project, that’s not the way the customer sees things – and it’s not the way the case study’s audience (and the client’s prospective customers) will want to read it. As a result, we pretty much threw out the previously agreed-to case study format, and created a new style on the basis of that first customer interview – which received a very positive response from our client. 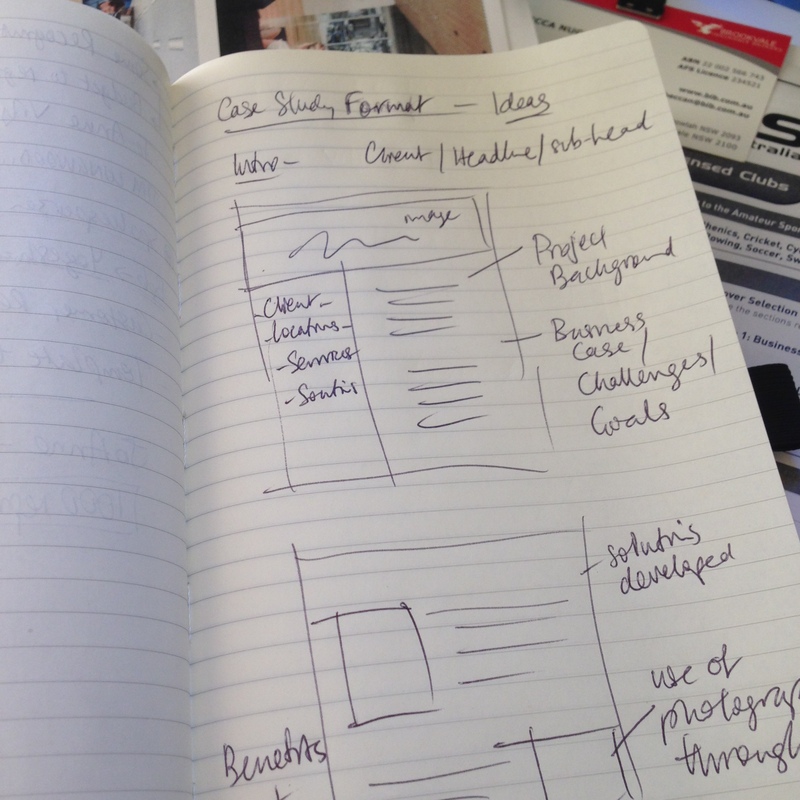 So, if there is one thing to take away from the experience of creating a new case study program for a client, only go as far as preparing a “sketched out” format and then allow that evolve once you have talked to the customer.